Explore Assassin’s Creed® III’s new frontier environment in this video walkthrough demo shown at E3 2012 – now with commentary from Creative Director Alex Hutchinson. Experience the thrill of Assassin-style fighting and navigation, plus all-new hunting modes and more against the wild frontier setting, and bear witness to a slice of the massive open world scale of Assassin’s Creed III. Tap into the hidden truth behind one of history’s most influential wars, the American Revolution, as you unleash lethal new skills and weapons in this full gameplay mission demo. 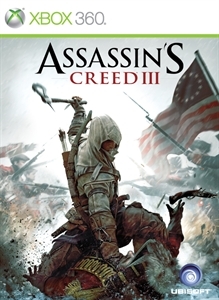 Assassin’s Creed III lets you discover a stunningly realistic world – from the vibrant, untamed frontier to bustling colonial towns and the intense, chaotic battlefields where George Washington’s Continental Army clashed with the imposing British Army. Created by Ubisoft’s revolutionary AnvilNext game engine, this is an entirely new chapter in the unforgettable Assassin’s Creed saga!